Brilliant picture, wish I knew how to do that colour on b/w. Love the colouring on this picture! I love that, how did you do it? Love the colour contrast. He's clearly loving that lego. Look at the concentration on that face! Like what you have done with the colour. Great photo! I love how you've picked out the colours. Lego is popular here too! Great photo, love the colour! I love this, picking the colours out really makes it unusual. I have no idea what his game is but I love that a fwew bits of lego has him so absorbed. Great photo. He looks like its so important whatever game he is playing! 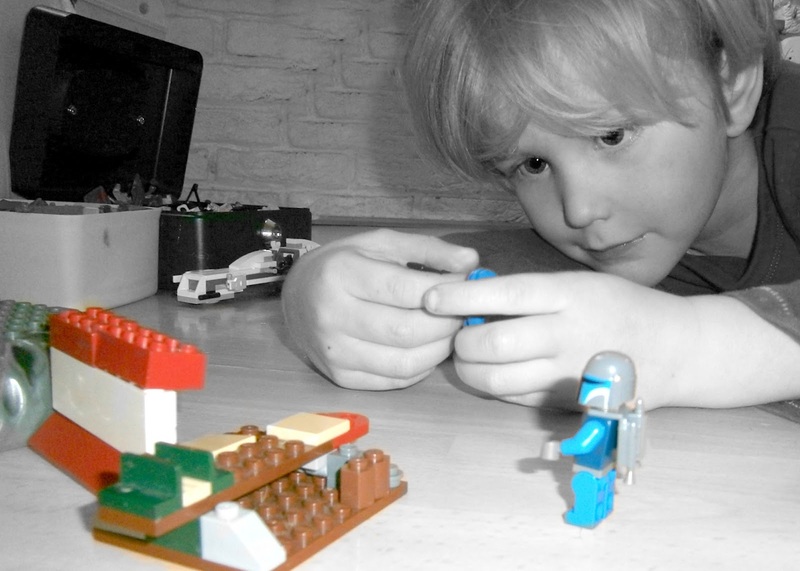 I love that he is black and white and the lego is in colour - very clever!